On the left, the final issue of Nintendo Power magazine, a publication that's been running since the '80s. 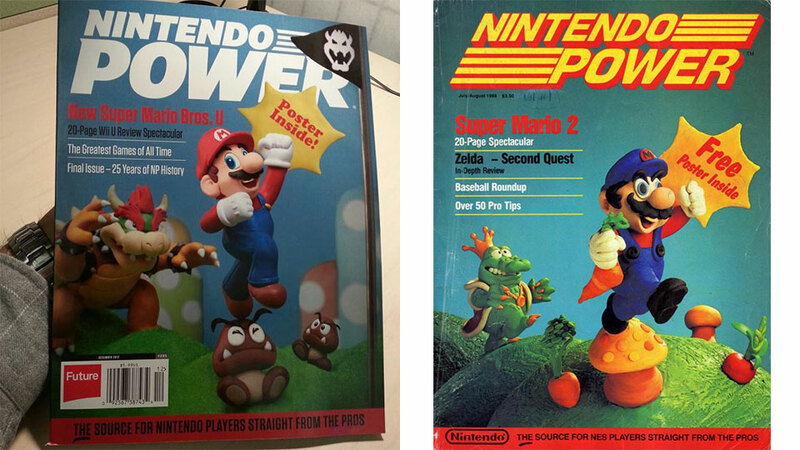 It's great on its own, but when you remember what the first issue of Nintendo Power looked like, on the right, it's enough to bring a tear to the eye. Nintendo Power's closure was announced back in August. The villain in the background of the original is Wart.